This cherry berry smoothie bowl is creamy and delicious. It is a quick, guilt free way to start any day. 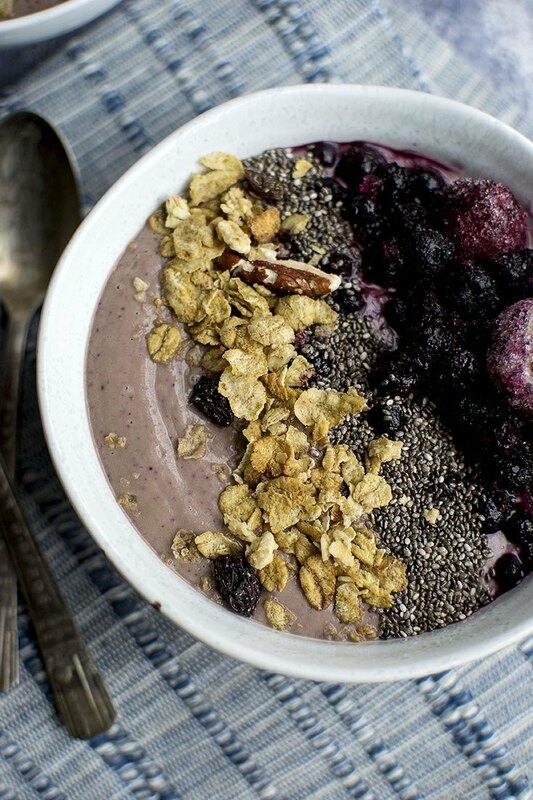 This smoothie bowl has half a days worth of fiber.